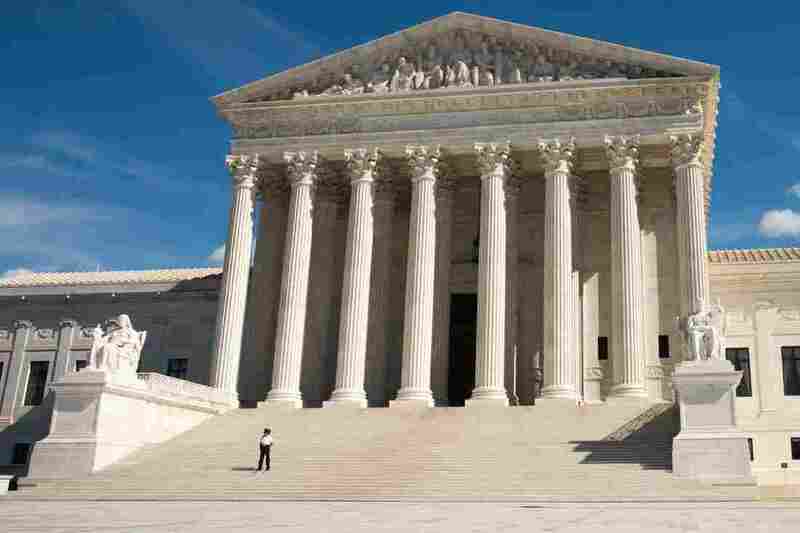 Census Citizenship Question: Trump Administration Eyes Supreme Court Showdown Justice Department attorneys are trying to stop Commerce Secretary Wilbur Ross and another Trump official from having to testify under oath for the lawsuits over the 2020 census citizenship question. Justice Department attorneys are trying to stop Commerce Secretary Wilbur Ross and DOJ official John Gore from having to testify under oath for the lawsuits over the citizenship question Ross added to the 2020 census. On Friday, Justice Ruth Bader Ginsburg denied the administration's request for the Supreme Court to temporarily block lower court-ordered document requests and depositions of two key Trump administration officials behind the question: Commerce Secretary Wilbur Ross and Justice Department official John Gore. She left the door open, however, for the administration to come back and ask the high court to permanently block plaintiff's attorneys from questioning Ross and Gore under oath. That's a move the administration has signaled it's planning to do with either a request for the Supreme Court to order lower courts to stop the depositions, or for the high court to hear the case. Lawyers for the plaintiffs in the two lead cases have been gearing up to question Ross and Gore in their final weeks of evidence-gathering, which is scheduled to end on Oct. 12. A potential trial for those lawsuits is set to start on Nov. 5 at the U.S. District Court for the Southern District of New York. Last month, a judge on the 2nd U.S. Circuit Court of Appeals put Ross' deposition on hold while request was under review. In a filing on Wednesday, Solicitor General Noel Francisco at the Justice Department — which is representing the administration in the six lawsuits around the country over the hotly contested question — wrote that he was preemptively asking the Supreme Court to consider blocking Ross' Oct. 11 deposition in case the 2nd Circuit refuses to do so. On Oct. 9, a three-judge panel is set to review the administration's earlier request for the 2nd Circuit to stop Ross' deposition. The Trump administration has been trying to convince the courts that deposing Ross and Gore is not necessary to resolve these lawsuits and that the judges should instead rely on the record of internal memos, emails and other documents already released by the administration. "The validity of the Secretary's decision is properly judged on that objective record, without inquiry into Secretary Ross's deliberative process and any subjective reasons he might have had for favoring the reinstatement of a citizenship question," the Justice Department attorneys wrote in their earlier request for the 2nd U.S. Circuit Court of Appeals to block Ross' deposition. The Trump administration has repeatedly tried to block discovery in our suit — and courts have repeatedly rejected their attempts. You have to wonder what they're trying to hide. U.S. District Judge Jesse Furman had previously allowed the plaintiffs' attorneys to question Ross, who oversees the Census Bureau as the head of the Commerce Department. Ross announced in March that he approved the Justice Department's request to add a citizenship question to forms for the upcoming national head count. A three-judge panel of the 2nd Circuit recently upheld Furman's separate order for the deposition of Gore. He leads the Justice Department's civil rights division, which argues that it needs responses to the citizenship question to better enforce the Voting Rights Act's protections of racial and language minorities from discrimination. Justice Department attorneys signaled they were ready to escalate the lawsuits over the citizenship question to the high court in a court filing submitted last week that asked Furman to block all remaining depositions and document requests for the two cases before him "pending review" by the Supreme Court. Furman denied the request on Sunday, calling it "particularly frivolous — if not outrageous." "The application ... is hard to understand as anything more than a pro forma box-checking exercise for purposes of seeking relief in the Supreme Court," the judge wrote in his opinion. In response to the Trump administration's request to the high court on Wednesday, Amy Spitalnick, a spokesperson for the New York state attorney general's office — which filed one of the lawsuits over the citizenship question — said they are determined to "get to the bottom of how the decision to demand citizenship status was made." "The Trump administration has repeatedly tried to block discovery in our suit — and courts have repeatedly rejected their attempts," she said in a written statement. "You have to wonder what they're trying to hide." "Secretary Ross must sit for a deposition because, among other things, his intent and credibility are directly at issue in these cases," Furman wrote in an opinion filed last month. "Since this issue will go to the Supreme Court," Commerce Department official Earl Comstock wrote to Ross in an August 2017 email discussing a citizenship question, "we need to be diligent in preparing the administrative record." Ross later wrote back: "we should be very careful,about everything,whether or not it is likely to end up in the SC."